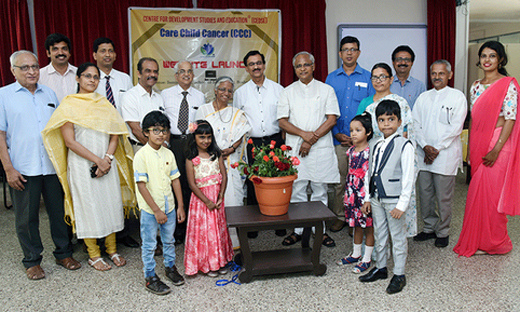 Mangaluru, Nov 14, 2018: Care Child Cancer (CCC) Website of the Centre For Development Studies and Education (CEDSE) was launched at Roshni Nilaya on November 14, Wednesday by former MLA J R Lobo. Speaking on the occasion, Lobo hailed CEDSE for its initiative in launching the website. Citing a recent survey, he also expressed his concern over the fact that the incidences of cancer has risen in the under-18 age group and that eight out of every 100 men suffer from cancer. CEDSE Director Dr Rita Noronha, CEDSE CEE Chief Convenor Herald Moraes, Roshni Nilaya Principal Dr Juliet C J and others were present.